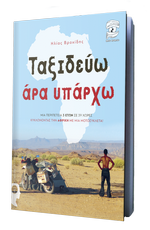 mad nomad – Travelling around the world on a motorcycle! 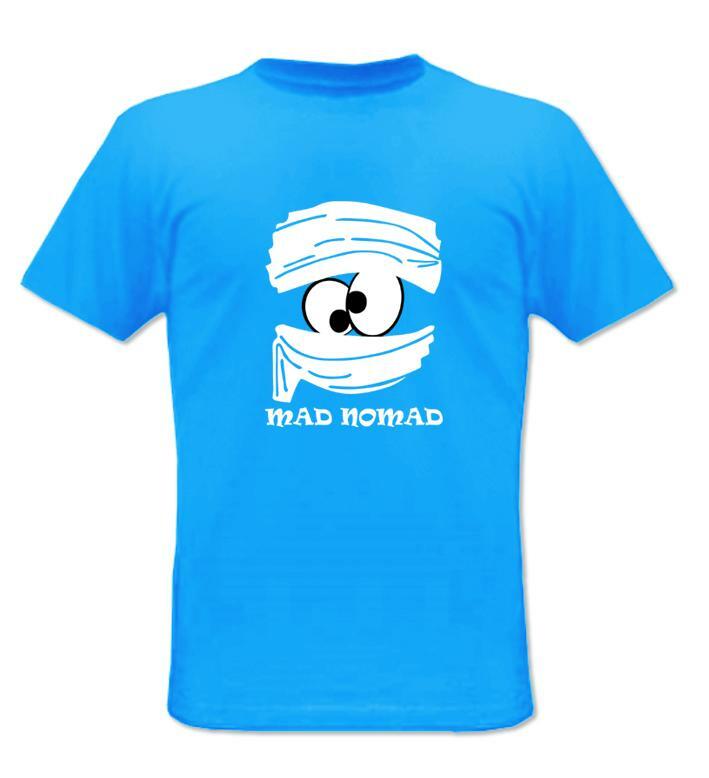 : T-shirts with the famous logo of mad nomad! Many people ask me where they can find a T-shirt just like the one I’m wearing when I present my trip. 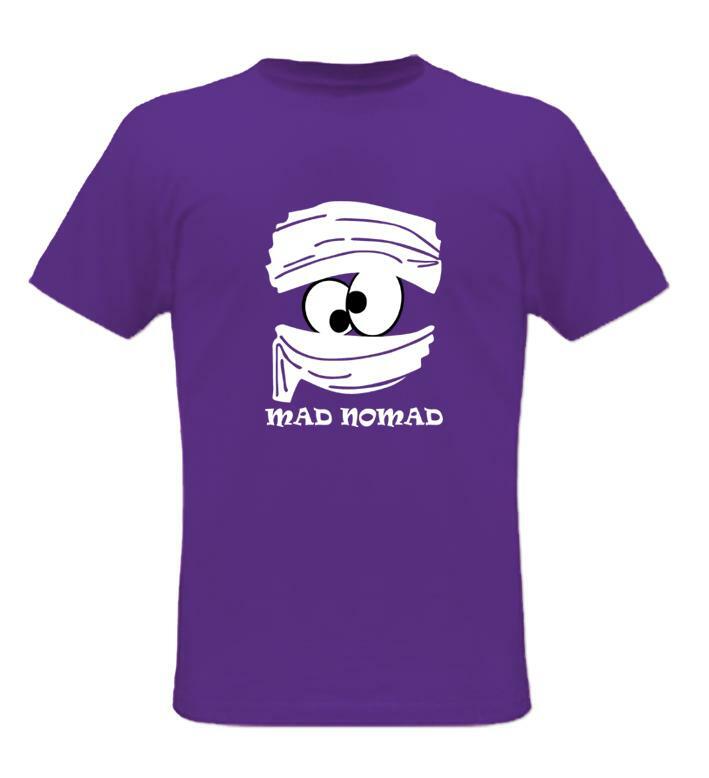 That first “mad nomad” T-shirt was a surprise gift from Christina! However, we have found a way to make it possible for everyone to purchase and wear a similar T-shirt, in any colour or size (XS – XXL). 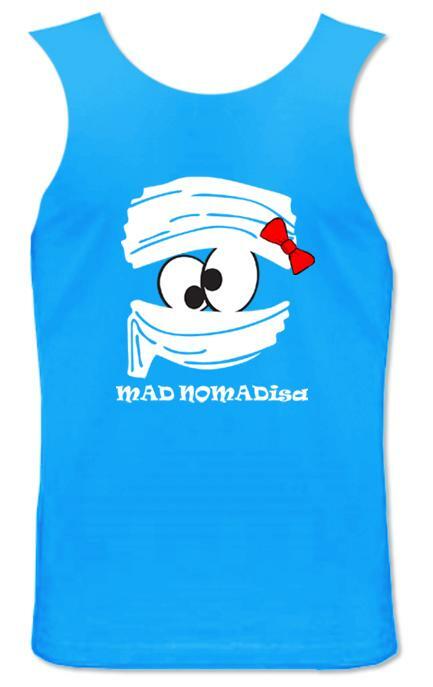 Actually, there are even women’s T-shirts available, without sleeves and with the famous “mad nomadisa” logo and her red bowknot! All the T-shirts are high quality ones without seams at the sides to disturb. Before putting them in the washing machine, make sure you turn them inside out, in order to make the print last much longer. You can see all the available colours at Sol’s website. 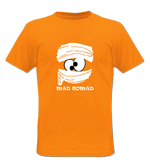 The T-shirts cost 15 euros each, and I can mail them to you. 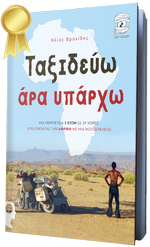 The shipping cost in Greece is just 2.60 euro plus 2.30 euros, in case you need to pay on delivery. The shipping cost to Europe is about 10 euros but, please, ask me for the exact cost to ship to your country. If you want me to arrange the shipping to your address, just contact me. 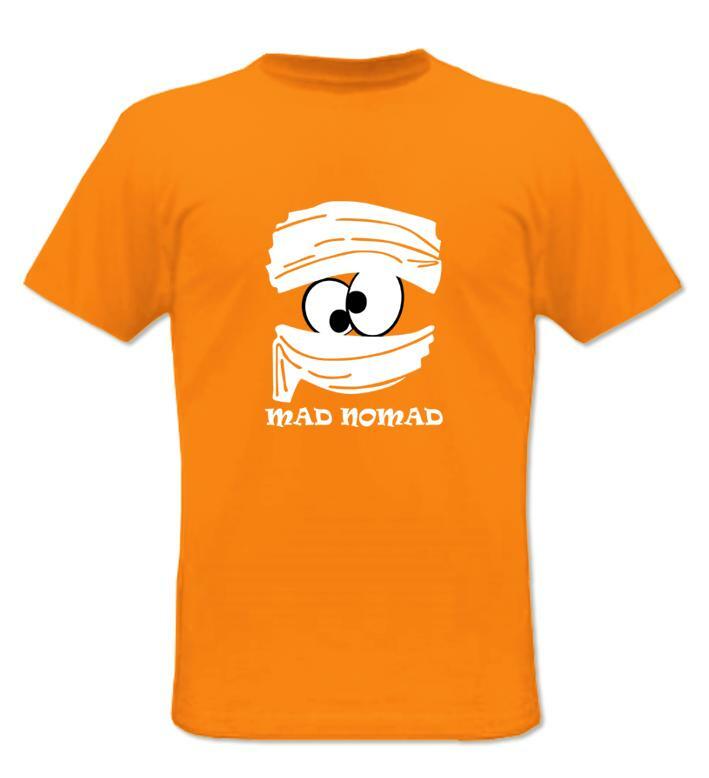 By purchasing a “mad nomad” T-shirt, you buy us fuel which lets us to travel 200 km. 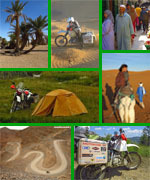 (124 miles) more on one of our motorbikes!